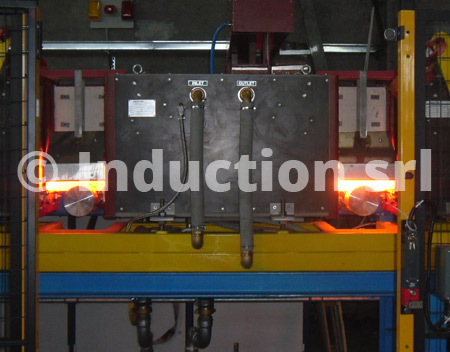 The introduction of induction heating systems in rolling processes is common among the most qualified producers of hot rolled steel sections. 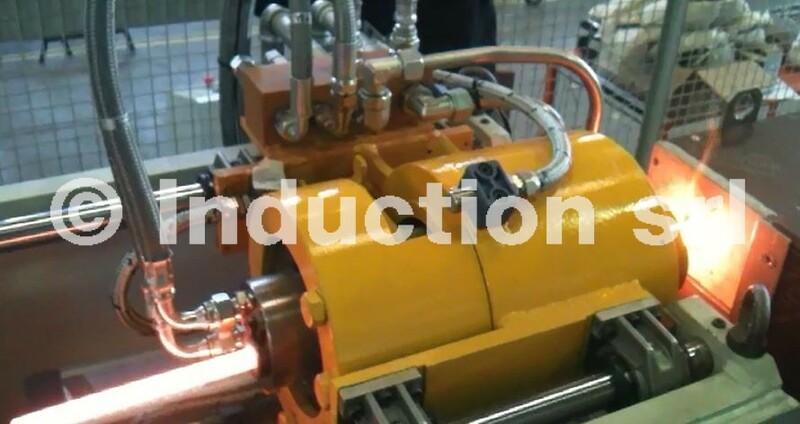 The main advantage linked to the use of an induction furnace, in the different parts of the roll train, is temperature control for different materials and different dimensions. 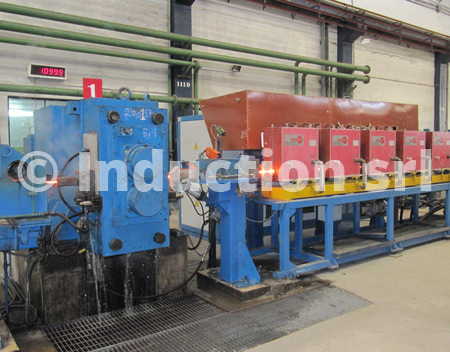 In fact, thanks to the absence of the thermal transistors of the application, and to the high value of specific power density per unit of volume, rapid responses in time of delivered power are possible, allowing to obtain the heating profile desired. 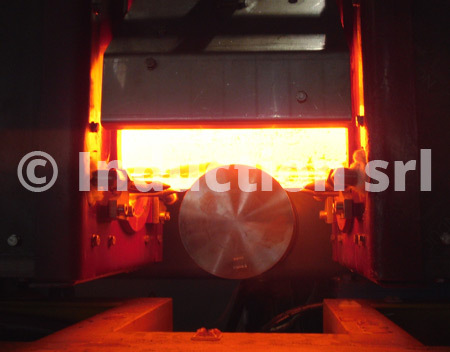 Generally, in the sector of hot rolling, bars are usually heated through intermittent passages. 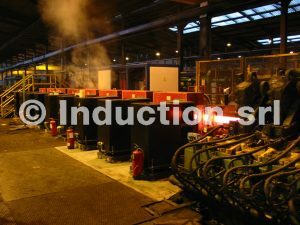 This increases the average temperature before intermediate forging or final machining, and allows to compensate the irregular head – tail temperature, making it possible to increase the system’s productivity by reducing gas consumption, as well as wear of the main furnace’s refractory material. 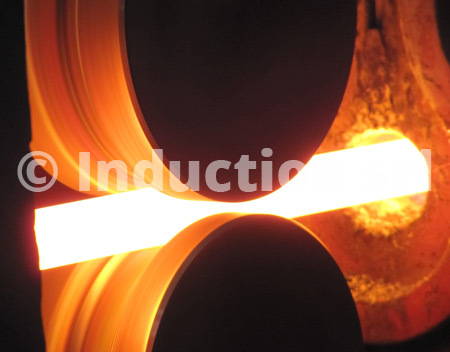 Furthermore, it’s possible to carry out rapid changes in production while maintaining temperature control within common industrial standards, and reduce the number of defects due to temperature irregularity. 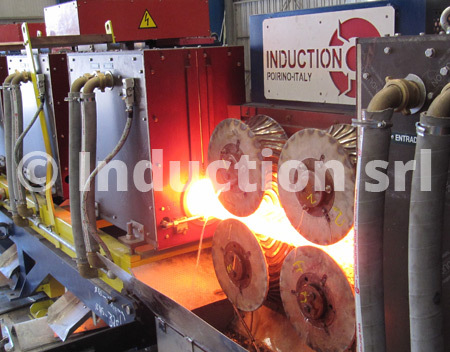 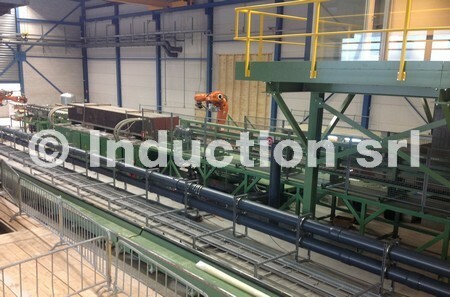 Induction is also present on the market with static heating operations for bars subject to subsequent hot rolling, allowing flexibility in production changes even with small lots of material, along with other advantages such as reduction of superficial decarburization even with atmospheric heating, elimination of ordinary maintenance costs of the gas furnace, and elimination of localized overheating in the combustion area.